In Progressive Northern Ins. Co. v. McDonough, ___ F3rd____ (8th Cir. 2010) (applying Minnesota law), the Eighth Circuit Court of Appeals recently interpreted a criminal acts exclusion in an auto policy to bar coverage. After a night of drinking, Morelli drove off the road and struck McDonough, injuring him. Morelli was driving a car insured by Progressive. During initial interviews with police, Morelli stated he was bent down looking for a ringing cell phone on the floorboard when the car ran off the road. However, he later pleaded guilty to attempted assault in the first degree. In both his Petition to Enter a Plea of Guilty and at his plea hearing, Morelli stated that he intentionally drove off the road and into a group of people. After Morelli entered his guilty plea, McDonough filed a lawsuit against Morelli. Progressive then filed a declaratory judgment action seeking a declaration that its policy did not cover any liability Morelli incurred, based on a criminal-act exclusion stating: “bodily injury . . . caused by, or reasonably expected to result from, a criminal act or omission of that insured person. This exclusion applies regardless of whether that insured person is actually charged with, or convicted of, a crime.” Morelli then gave deposition testimony and stated that he did not intentionally hit McDonough. Instead, Morelli returned to his initial story and testified that he was looking for a ringing cell phone on the floor of his car when he hit McDonough. Second, even if the contradictory testimony were admissible, Progressive would still prevail because it did not need to prove intent for the criminal-act exclusion to apply – the exclusion did not require intent and Minnesota courts had previously refused to imply an intent requirement for purposes of a criminal act exclusion. SECURA Supreme Ins. Co. v. M.S.M., 755 N.W.2d 320, 325 (Minn. Ct. App. 2008); Liebenstein v. Allstate Ins. Co., 517 N.W.2d 73, 75-76 (Minn. Ct. App. 1994). Morelli’s guilty plea conclusively placed his liability under the criminal-act exclusion. This blog is for informational purposes only. By reading it, no attorney-client relationship is formed. The law is constantly changing and if you want legal advice, please consult an attorney licensed in your jurisdiction. © All rights reserved. 2010. 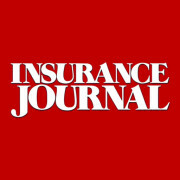 This entry was posted in Auto Dealer, BAP, CGL, Coverage, Duty to Defend, Duty to Indemnify and tagged CGL Coverage, Commercial Liability Coverage, Criminal Acts Exclusion, Gregory J. Johnson, Insurance Law. Bookmark the permalink.